SharePoint 2019 bringing the cloud closer to on premise SharePoint. Microsoft announced it would be releasing SharePoint 2019 in the second half of 2018 at Ignite 2017, with the preview version available in mid-2018. SharePoint 2019 will be very much an on-premises edition of the platform built on the foundational release of SharePoint Server 2016. The goal is to reduce the difference between online and on-premise versions of SharePoint creating greater consistency and integrability between them. Other SharePoint Online innovations – making the most of what SharePoint online offers that can be exploited within the on-premise version. The emphasis that Microsoft has put on bridging the gap between online and on-premise SharePoint from what is being proposed in SharePoint 2019 is a clear indicator that they are serious about user experience and consistency of approach. It’s also an indicator that Microsoft recognises that there are plenty of companies have an appetite for a SharePoint environment housed within their own firewall (self-managed) that has all the features they would expect from the Office 365 version. Karen Hooper, thank you for your blog post.Really thank you! Awesome. Good informative web for me..
Keep up good work! Excited for future updates! New client announcement: Children’s Health Queensland appoints Primaxis Interpreter Management System IMS. Domino V11 Sneak Preview : What to expect? New client announcement : Mater Misericordiae appoints Primaxis Interpreter Management System. Exhange to O365: Primaxis helps Geotech effectively migrate to Acciona’s Office 365 environment. socks5 proxifer on SharePoint 2019 bringing the cloud closer to on premise SharePoint. Gwyn on SharePoint 2019 bringing the cloud closer to on premise SharePoint. Alex on SharePoint 2019 bringing the cloud closer to on premise SharePoint. Take a tour of our product! · Improve interpreter efficiency with a modern scheduling system. 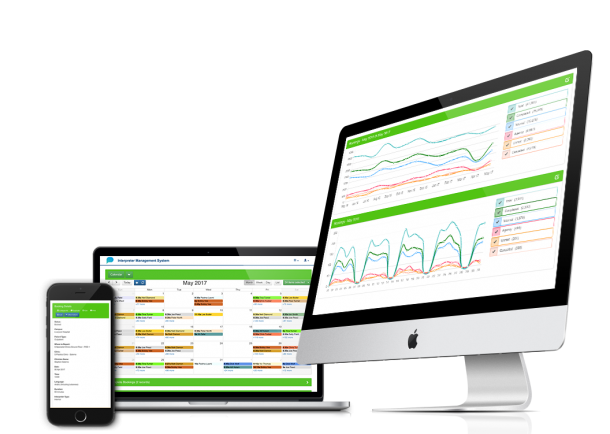 · Budget staff with real-time statistics and Forecast languages of high or low demand. · Manage to make iterations, unmet and rescheduling bookings in a few clicks.